On a recent visit to Lisbon, Portugal, I had the opportunity to visit the National Palace of Queluz. It was originally built in 1747 as a summer palace for Portugal’s King Pedro, but thirteen years later became the permanent royal residence. This is an exquisite palace with formal gardens and parkland. Queluz is very much like a miniature Versailles. 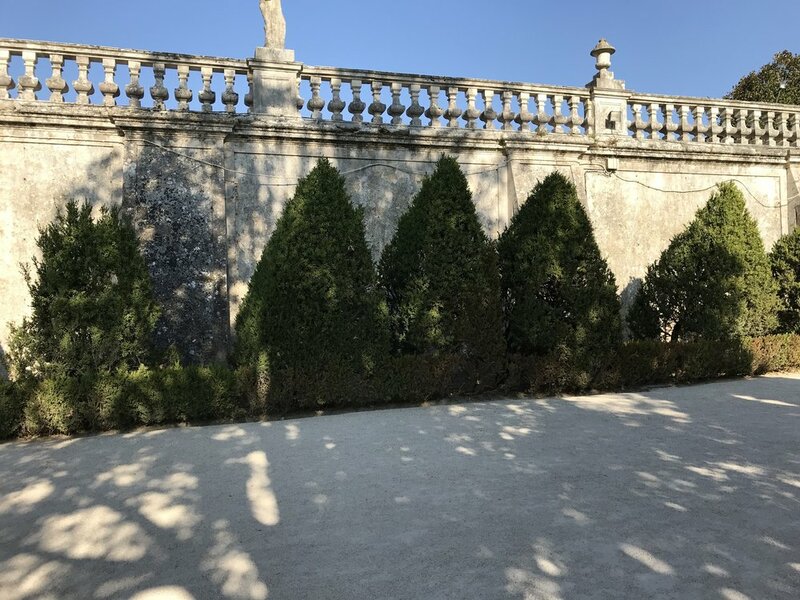 I have several photos of the Neptune Garden, which is one of a pair of gardens between two asymmetric wings of the Palace. These gardens were laid out by Robillion and are adorned with fountains, statues and topiary. The other pictures are of formal gardens as well, but those gardens are much more relaxed. I was there at the end of September and gardens were not at their best, but nevertheless they still were amazing and quite lovely.